Sandy Mush sustainable farm. 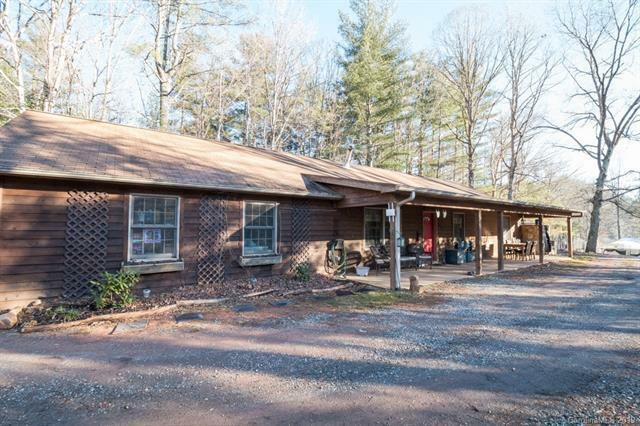 Totally updated interior on this ranch home with fenced livestock area next to house, large fenced pasture, 2 creeks, stocked pond, large cascading waterfall w/footbridge. Solar powered well. 120 x 30 heated greenhouse, storage bld, large barn with finished space above. Comes with 3 tiny cabins (one heated) plus shared kitchen/bathhouse with solar power. Ideal VRBO or rental. Very private setting. In Present Use deferral program. 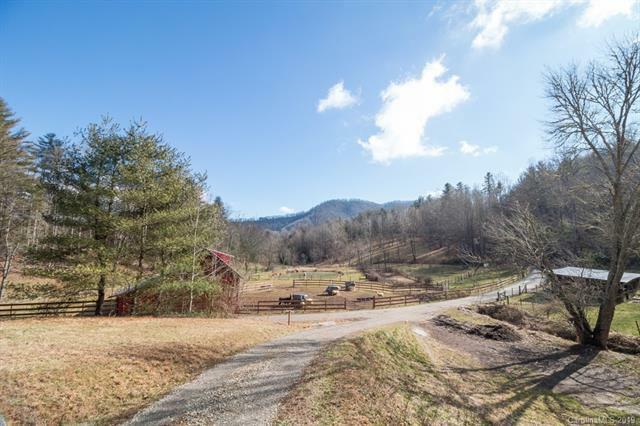 This is 12.317 acres of a 20.9 acre parcel with other dwellings that are also for sale. 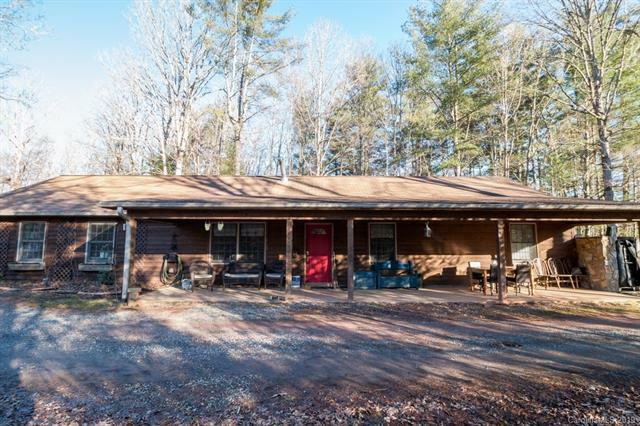 See MLS 3469060 for entire farm listing. 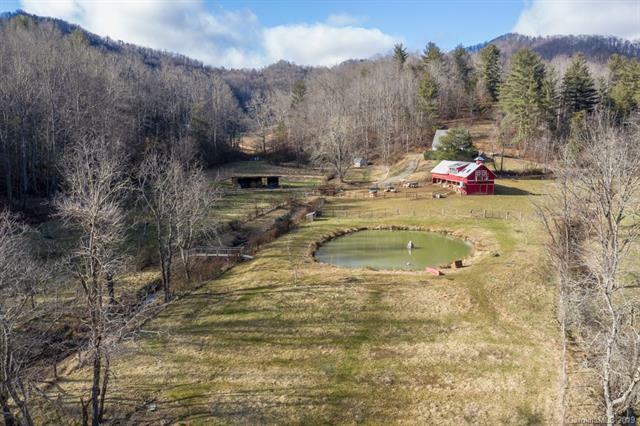 This is a one-of-a-kind homestead that can be totally self-sustaining. Beautiful Sandy Mush area, and convenient to West Asheville. NO Drive bys. Owner is very private.